To Be, Or Not To Be (Together)? I think young twenty-somethings often go through this dilemma: should I pursue a relationship with the one I’m dating or keep dating around? I don’t have an answer. But one conversation with a friend brought forth many good points about dating in our twenties. Let’s explore them. Single life can be beneficial to a twenty-something’s personal development. You develop independence. You have flexibility to date around and schedule plans as you wish. This is great if you’ve been hopping from one relationship into another. Being single can also help solidify an identity of your own, rather than just being someone’s boyfriend/girlfriend. Variety is another pro. You get the luxury of dodging emotionally unstable people before committing. It’s fun to date around and open your eyes to the possibilities of who you can date. You have more opportunities to test the question: what kind of person am I looking for? And I don’t think it’s ever too early to start questioning. On the flipside, extended periods of singleness can make the adjustment back into the dating world rough. 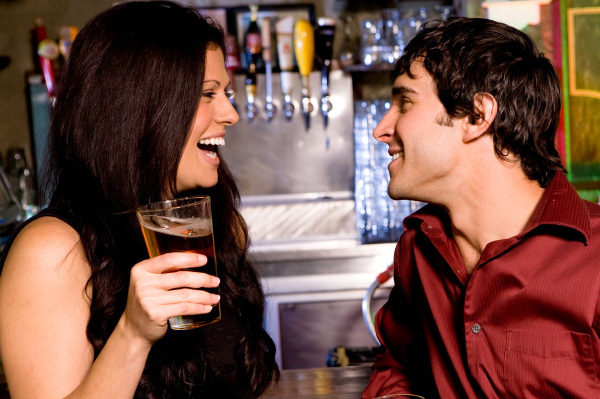 People get set in their ways, which may make dating down the road a more difficult ordeal. Suddenly having to share your life with another can feel unnatural, even draining in the beginning. Beyond the obvious factors of companionship & intimacy, relationships in our twenty-somethings are largely responsible for the outcomes in marriage, for better or worse. On the positive side, relationships can teach us real commitment and to take a long-term approach to life. A friend said that those who commit to you in your twenties – when you don’t have it made and still establishing yourself – should sit high on your priority list. The ones who stick with you despite your struggles understand you on a different level than those who’ve only known you as successful and are attracted to you based on your success. Indeed, as time ticks closer to the dreaded age 30, people may start focusing on some criteria more than others: financial & physical health, more so than personality, creativity and ambition. It’s not easy to be young, mobile and experimental and balance that out with a committed relationship. People can change. A job opportunity can place you in a different part of a country. But if you think you’ve found someone special, and you’ve thought through what you want – then it may be time to throw your hat in the ring and get committed.